Spanish Techno extraordinaire Pushmann lays down the mix for Episode 130 with a recording live from Limite, Tarazona Spain last week. Hello and welcome back to The Poeticast, the voyage around the world arrives in Portugal this week as we play host to Techno artist Relapso. 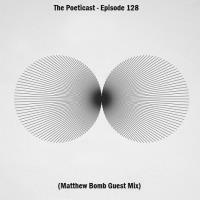 The Poeticast is thrilled to be joined by another guest on the show this week, and that guest is Matthew Bomb. The Poeticast returns for Episode 127 and we are delighted to welcome Hydrangea to the podcast. 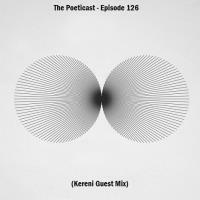 Welcome back to The Poeticast as we are joined by UK based electronic artist Kereni for Episode 126. He steps up the pace and supplies the fire with a strictly vinyl mix that isn't for the faint hearted. The Poeticast returns this week and we have a special edition for episode 124 as we welcome the Dutch Techno duo that is Hush and Sleep to the podcast. Hello and welcome and back to The Poeticast, we are honoured to be joined by a true pioneer in electronic music and a prolific talent this week as HD Substance is at the controls for Episode #123.